UPLOAD IMAGES - Loupe Digital Studio Inc.
Before you upload, please fill out the order from located at the bottom of this page. Feel free to call or email us with any questions! Please use Adobe RGB 1998 or sRGB as the color space for color images and Grey Gamma 2.2 for black and white images. Once we receive your files we will send you an invoice payable online. Prints can be picked up for free at our NYC studio or shipped worldwide. Our dry lab can produce prints from 3×5” up to 11×14” and allows for cost-effective high-quality prints on archival paper. As both a Hahnemühle and Canson-Infinity Certified Studio, we use the finest archival inks and media while maintaining a certified workflow which guarantees perfect prints and consistent quality. 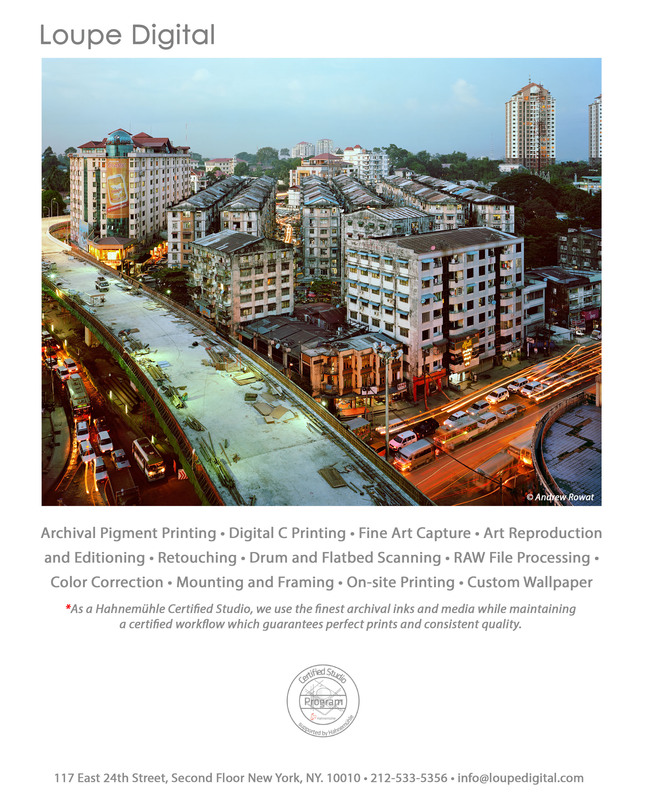 Select which photographic surface you would like your prints produced on. Choose the size of the first print. Traditional sizes listed. Please give us a call for non-traditional sizes. Choose the size of the second print. Traditional sizes listed. Please give us a call for non-traditional sizes. Choose the size of the third print. Traditional sizes listed. Please give us a call for non-traditional sizes. Choose the size of the fourth print. Traditional sizes listed. Please give us a call for non-traditional sizes. Choose the size of the fifth print. Traditional sizes listed. Please give us a call for non-traditional sizes. For orders over five prints, please call or email us.